With double-wall vacuum insulation and one-inch of lid insulation, the Rambler One Gallon Jug is built for to keep things ice-cold (or piping hot) for longer. 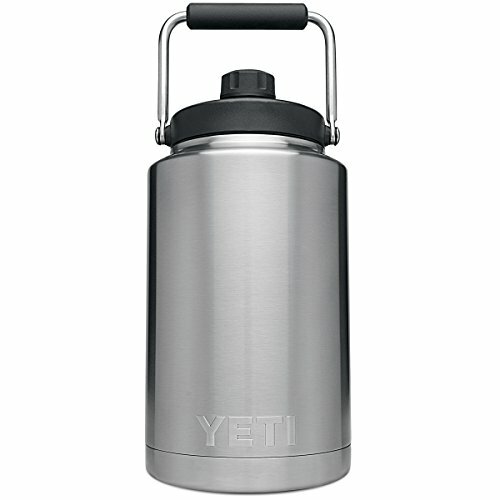 It has the same durable 18/8 Stainless Steel construction as the rest of the Rambler series, which makes it damn near indestructible, with a hefty stainless steel handle to make hauling your one gallon jug easy. It's also outfitted with the quick securing MagCap and dock, so you can keep your cap close at hand while you grab a swig. This Rambler Jug is glacier sized for long days at the worksite or a rough day at the lease, so pack up your drinks and hit the road - your Rambler Jug is built for whatever comes its way.